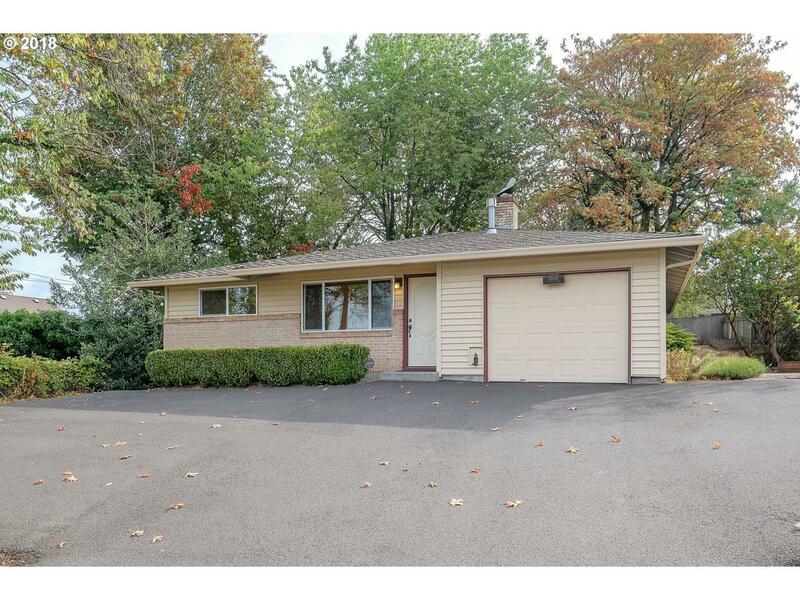 Immaculate, updated, ranch on .2 acre, mature, wooded lot, w/abundant parking. Huge family room w/gas fire place and built-in shelves. Kitchen/dining combo w/eating bar and slider to vast, private, backyard w/covered-patio, deck, shed and pergola. Bathroom w/jetted tub and new tile. Fresh paint, crown molding, wainscoting, beautifully textured ceilings and wood floors thru out. Near shops, restaurants, and entertainment. On bus line.